Find Better Ideas, Faster ® with a shoes trend report, our PRO Dashboard and 80+ categories of premium trend reports. 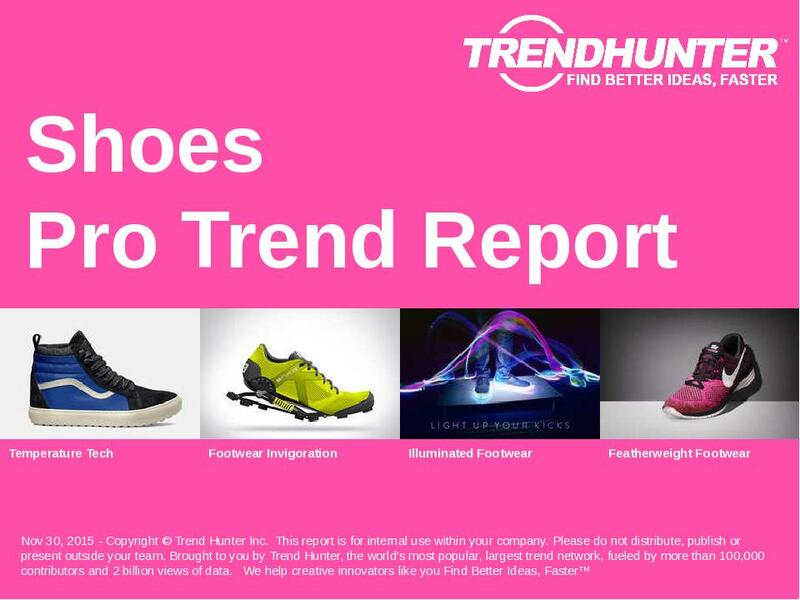 The Shoes Trend Report covers the top shoe trends and provides insight into the footwear industry. Trends in shoes, as in fashion, are dynamic, and we’ve seen changes in luxury footwear, like the coveted Manolos, as well as classic shoes: boots, flats, pumps and other heels. Containing research on mega shoe brands from Nike to Jimmy Choo, as well as smaller, independent labels, our report is for shoe designers, marketers, innovators and retailers looking for ideas and direction in the changing world of consumer footwear. 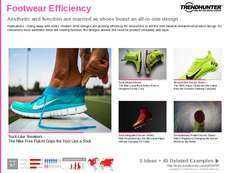 If you are looking to one-up your competitors, our Shoes Trend Report will give you the insight and ideas you need to manipulate emerging patterns and stay ahead in the industry. Last researched on Mar 5, 2019, the Shoes research topic includes our full archive for the last few years, including 63 Shoes insights and 423 examples of shoes market research, including: footwear trends, shoe trends, shoe industry, women's shoes, boots, Manolos, Jimmy Choos, pumps, stilettos, flats, running shoes, high heels, Nike, footwear industry and shoes trends. PLUS, the report is now bundled with the full Trend Report Library, including 80+ categories of reports and our past archive, including several thousand pages of insight. PLUS 55 more Shoes Consumer Insights and 423 examples!